We ended up staying a week, visiting with our friends in Valencia. 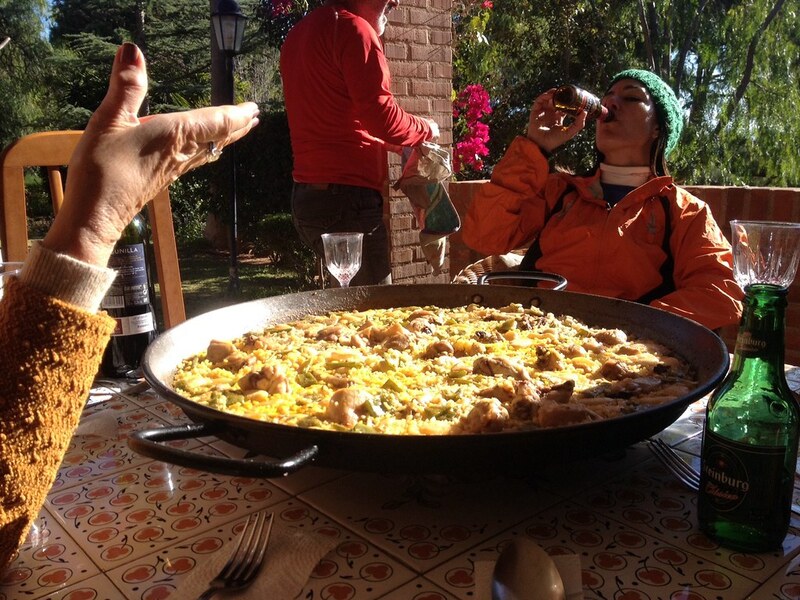 Being invited to join the family for a Saturday Paella, who would miss the opportunity! 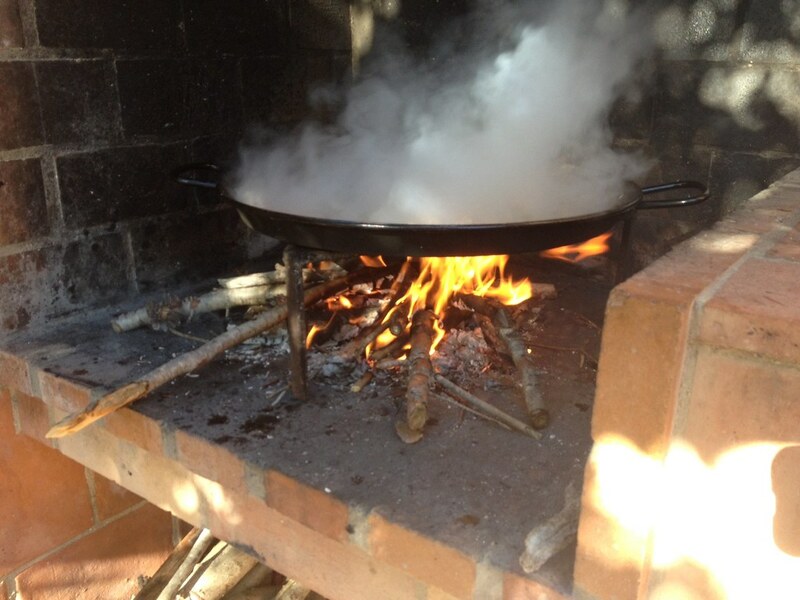 I have not witnessed the process of preparing and cooking the Valencian paella over the wood fire before. It was also a delicious meal, with chicken & saffron, and the dish is shared straight from the pan.. enough to feed six people. I also took the opportunity while parked up at their house to strip down and clean my diesel heater which has been smoking for a while, or not firing up. A couple of hours, some WD40, and my compressed air line, and all was well again. I haven't had the opportunity to do it in a while due to the weather up north. Travelling in Spain at this time of year, especially on higher ground or right on the coast it can be chilly first thing in the morning. Good heating makes for a cosy morning. Ric & Anita also recommended a great place in Valencia to get new mattress foam cut for my bed/seats. At almost twenty five years old 😳, there was not much comfort left in my matress and I'd been relying on camping mats laid on top etc. My friends had been very pleased with their own mattress, so I paid 'Colchón City' a visit. I made my measurements to get the thickest foam that would fit. The bed is now amazing; my problem now is laying in too long! A very reasonable price too at €65 I think. I've since journeyed south a little and I'm now van camping in a beautiful place among the orange groves, not far from Carcaixent. I've made a video of the journey here including stops on the way.. The video starts with my first footsteps on a Mediterranean beach just south of Valencia.. then using the Coleman stove I've recently acquired. More on that in a future item. Look out for the moon rise over the sea! It was darker and more spectacular than the video shows - outside the limits of my camera. Here at present, when the sun sets in the west, the moon simultaneously rises in the east over the Mediterranean Sea. The mandarin orange I found washed up on the beach on our morning walk - a good starter for breakfast. We then journey on, back into foothills, and arrive at an old monastery among the orange groves..
My location is on the Tripline map in the sidebar.. Get in touch if you're in the area..